The Wild Root stands for life’s energy itself, the source of all creation in each human being. It is wild, yet amazingly harmonious because of its wildness. Every single movement created in space, every sound-wave initiated, is born out of the attraction to harmony of one’s root. Non-interference with this mysterious source within, serving as a neutral conductor to it, is the secret and key of being free. 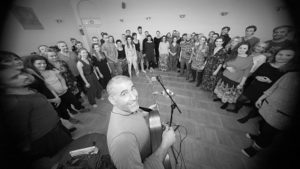 Wild Root Vocal Journey is an invitation to explore the transformative potential of music, voice and breath, led by Amit Carmeli. 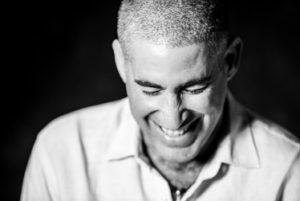 The four-day process is designed to strengthen the experience of one’s true nature, enhance the awareness to one’s unique voice and music, deepen intimacy with oneself and cultivate connection with one’s creative nature. Unification of Voice- attention to tonality and pulsation of natural breath. This careful and profound work of awareness reveals subtle layers of one’s consciousness. Listening and sensing the voice while singing allows participants to inquire into their state of being on physical and emotional levels, revealing one’s intimacy with harmony or one’s lack thereof. 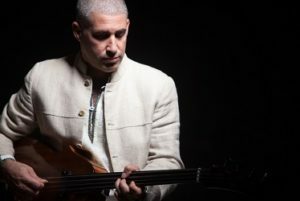 Experiencing music through the body, breath and voice while surrendering to one’s Wild Root allows for a perfect merging of the musical instrument – the body – with the unique music that one is. Singing a melody is a powerful act of healing that triggers a breathing-pattern to happen where body and soul are rearranged. Part 1&2 are a 9 day journey, beginning on January 22nd and finishing February 1st. There is an option to join only Part 1 from the 22nd to the 26th. Part 2 is only available to those who complete Part 1. The group starts on the evening of January 22nd with an info session at 8:15pm. Price: $300 Early bird price for Part 1 and $560 Early Bird price for Parts 1 & 2. Early Bird Prices are available until Jan 16th and Jan 22nd respectively. After this date the prices are plus $30 for Level 1 and plus $60 for Parts 1 & 2.